Claudio Bravo had a nightmare start to his Manchester City debut after gifting Manchester United striker Zlatan Ibrahimovic a goal following a goalkeeping blunder. City were cruising with a 2-0 lead with just a few minutes remaining until the half-time break when Bravo failed to make a simple catch which resulted in him spilling the ball. Credit has to be given to Ibrahimovic for finding the back of the net with a well executed volley but Bravo was ultimately to blame. 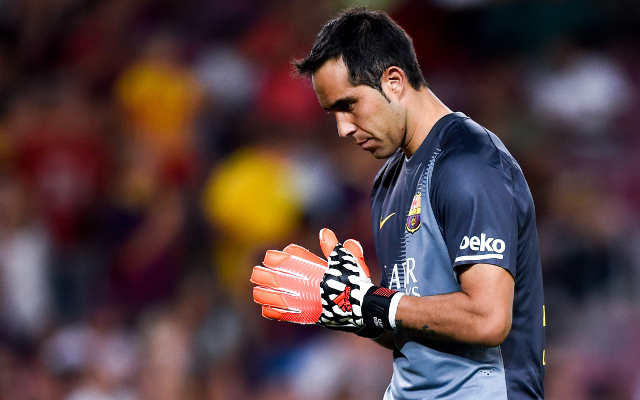 Bravo was brought in for Joe Hart towards the end of the transfer window. The England international joined Torino on loan.